What will it take to put the past to rest? Professional genealogist Melissa Grantham receives an invitation to visit her family's ancestral home, Ashleigh Manor. From the moment she arrives, life-like dreams and visions haunt her. The spiritual connection to a medieval young woman and her forbidden lover have her questioning her sanity, but Melissa is determined to solve the mystery. Jake Precy, owner of a nearby cottage, has disturbing dreams too, but it's not until he meets Melissa that they begin to make sense. He hires her to research his family's history, unaware their lives are already entwined. Is the mutual attraction real or the result of ghostly interference? A haunting love story set partly in the present and partly in fifteenth century Kent. 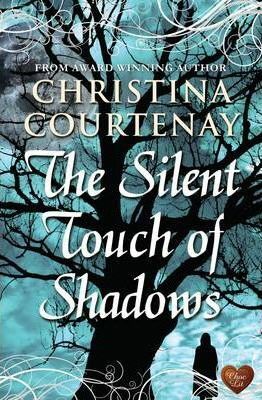 Christina Courtenay won the 2012 Best Historical Romantic novel of the year award (RoNA) for her novel Highland Storms. This suspenseful, parallel, historical, time travel, paranormal is one huge page turner. It is not difficult to believe every scene and follow Melissa's frightening journey into the cruel past. This reader was thoroughly swept away by the good description, believable emotion, and language appropriate for the timeframe of each scene. Ms. Courtenay is a skilled storyteller. " Christina Courtenay lives in Herefordshire and is married with two children. Although born in England, she is half Swedish and was brought up in Sweden. In her teens, the family moved to Japan and she had the opportunity to travel extensively in the Far East and other parts of the world. Her debut novel Trade Winds, a historical romance and adventure story, was short-listed for the Pure Passion Award for Best Historical Fiction 2011. Her second novel, The Scarlet Kimono, received the Best Historical Fiction prize for the Big Red Read 2011. Her novels Highland Storms and The Gilded Fan both won the Historical Novel of the Year award (Highland Storms in 2012 and The Gilded Fan in 2014), while The Silent Touch of Shadows (time slip) won the Festival of Romance award for Best Historical in 2013. Christina also writes contemporary YA and New England Rocks was shortlisted for the Romantic Novel of the Year award in the YA category in 2014. Her hobbies include genealogy, archaeology (the armchair variety), listening to loud rock music and collecting things. She loves dogs, reading and chocolate.